During the roaring 20's, Palm Avenue was Sarasota's most prestigious address. The opening of the luxurious Mira Mar Hotel & Apartments, which hosted the rich and famous in elegant style, marked the beginning of the evolution of Palm Avenue. The area began to boom with ballrooms, restaurants, upscale shops, art galleries and theatres. 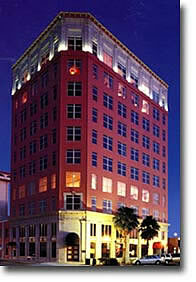 Through the years, Palm Avenue and the surrounding downtown area have become the hub of Sarasota. 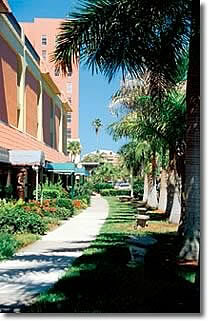 Today Palm Avenue is a delightful blend of historic Sarasota, fabulous shopping and exciting cultural events. "Palm Avenue's First Friday Walks" are held the first Friday of every month from 6 until 9pm. Enjoy gallery openings, dining, antiques, specialty shops and live performances at the First Friday Walks. Stroll and enjoy Palm Avenue by day or night and discover that the tradition of excellence lives on. 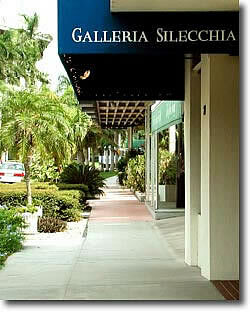 Galleria Silecchia's 20 South Palm Avenue location. enjoy the variety we have to offer.